Primary Orbit announced today that Marchen Forest: Mylne and the Forest Gift will be ported to new platforms, including Switch. A release date was not announced. 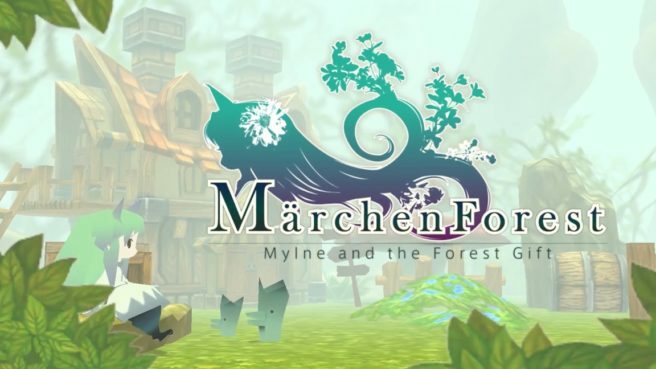 Marchen Forest follows Mylne’s quest to become a a master apothecary with dungeon-crawling, gathering ingredients, mini-games, and more. Find some additional details and a trailer below. Freely roam a fully 3D-rendered mystical forest together with Mylne, a young girl residing at a magical apothecary! One day, Mylne’s grandpappy, a master apothecary, requests that she find and gather some potion ingredients. Though no stranger to the forest and its curiosities, gathering ingredients is a first for Mylne, and she is at a loss of where to begin. You, esteemed players, are tasked with ensuring that Mylne becomes a master apothecary. You’ll laugh, you’ll cry! The mystical forest is chock full of small wonders! Fishing, trivia, training, and even dungeon exploration awaits you! Includes a plethora of fun minigames! Complete a variety of events hidden throughout the forest to gather ingredients for potions! The controls are simple: just check any places of interest! Trivia, fishing, and even battles!? Minigames are hidden away somewhere in the forest. Enjoy some minigames, or just play straight through the main story―how you play is up to you! Your created potions and caught fish are put on display in Mylne’s room! Let your inner completionist run wild! Complete the game by simply making a potion! Keep playing to unlock new areas while keeping potions made in previous playthroughs! Create new potions to unlock different areas in your next playthrough! You’ll know you’ve completed Act 1 when a song plays and the end credits roll. the door to the gameplay-packed Act 2 will open! Get ready to experience a whole-new side of Märchen Forest!